Marble Restoration Los Angeles: Call Us for All of Your Stone Polishing and Restoration Needs! Call Us for All of Your Stone Polishing and Restoration Needs! Natural stone surfaces such as granite and marble are some of the most beautiful materials with which you can furnish your home or business, but they do require extra attention and more maintenance than other materials. In today’s post, we’ll take a look at three of the ways in which we can help you maintain the natural stone surfaces in your home or business. When you’ve finished reading this post, be sure to get in touch with us to request a free, no-obligation estimate! Marble has been a popular construction choice around the world for centuries, and it’s easy to understand why. Marble creates a luxurious and sophisticated atmosphere, and it can last for decades with proper care. When you have marble in your home or business, it’s important to ensure that you’re taking proper care of the surface. At Concrete & Marble Transformers, we proudly provide homeowners in Los Angeles and the surrounding areas with state-of-the-art marble polishing services that can keep the surface looking like it did the day it was installed. Give us a call at 562-206-2729 to learn more! 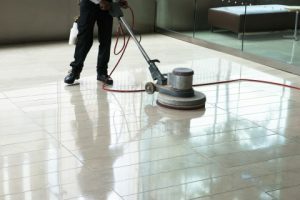 Whether you have a small household or a local business that serves hundreds of customers each day, floor cleaning is an essential aspect of taking care of your property. Regardless of the material with which you’ve furnished your space, regular floor cleaning is a non-negotiable aspect of protecting your investment. We use cutting-edge technology to clean and polish every inch of your floors, and we know that you’ll be impressed with the attention to detail our team delivers. We can come to your home or business at a time that’s convenient for you, and we’ll always work quickly to minimize the disruption to your day. Granite is commonly used to create sophisticated countertops, but it’s occasionally used as an elegant and luxurious flooring material. Regardless of where you’ve chosen to install granite, regularly investing in granite sealing and polishing is the best way to protect the surface. Whether your granite has been stained from spills, scratched from daily use, or just needs to be polished and shined, our granite maintenance experts can help you keep your investment looking like it did the day it was installed. We can even help you with granite repairs for cracks, chips, and other forms of damage, so give our stone restoration experts a call if the granite in your home or business has sustained damage of any kind. Contact Concrete & Marble Transformerz Today! We hope that today’s post will inspire you to contact us for all of your natural stone maintenance needs. 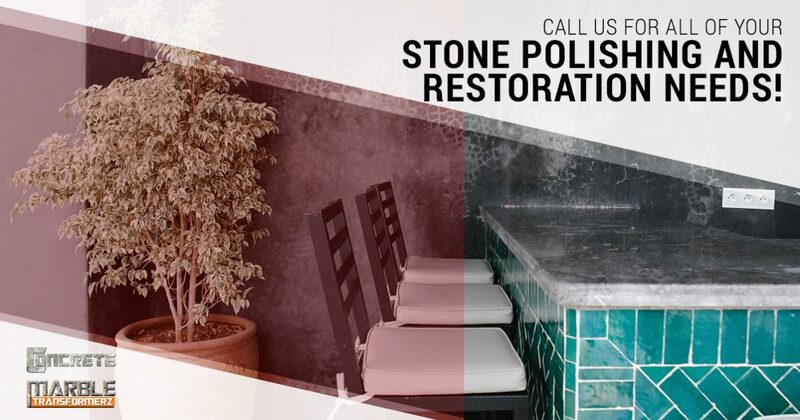 As Los Angeles’ Top Rated Local® stone restoration company, we’re here to help you polish, shine, and repair any of the surfaces in your home or business. Read our testimonials to see what our clients are saying about our work, and get in touch with us at 562-206-2729 or fill out the form below to request an estimate. We look forward to speaking with you!